Meller Optics has been providing high quality optics to defense, medical, laser and industrial markets. Specializing in grinding and polishing of hard, durable materials such as Sapphire and Spinel, Meller Optics has also developed high-speed, low-cost finishing processes for a variety of Laser Glasses, Fused Silica, Zinc Selenide, Germanium, Silicon, Fluorides, and Ceramic materials. 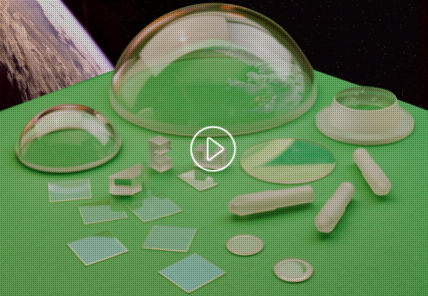 Configurations include windows, substrates, lenses, domes, and prisms. Meller Optics, an ISO 9001:2015 certified company, also supplies quality Microlux Alumina polishing abrasives and Gugolz optical polishing pitch.